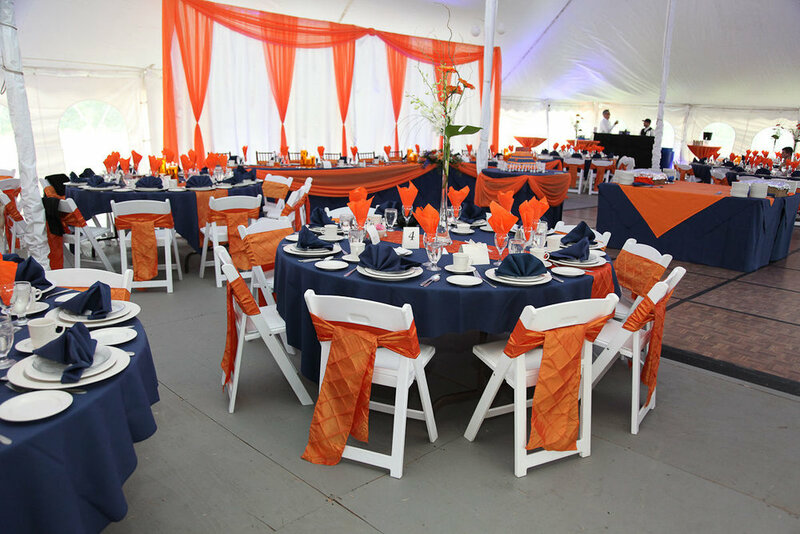 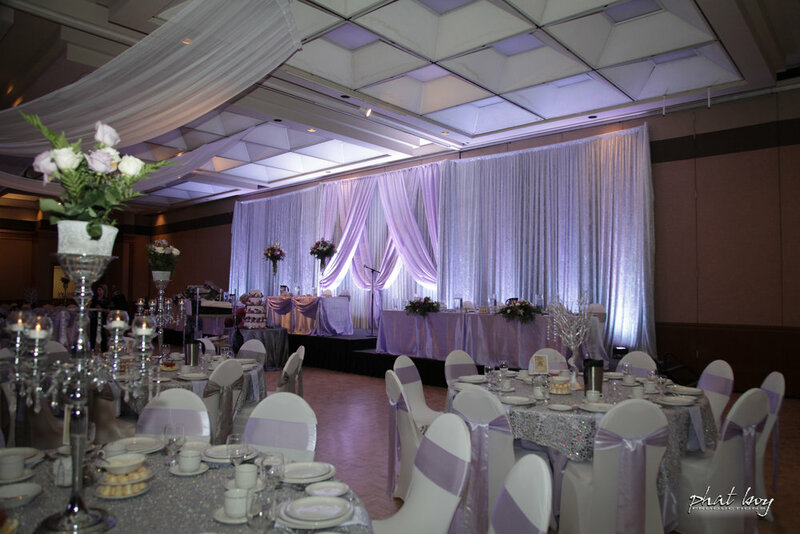 Windsor wedding decorator, Phat Boy Productions, can create a wide variety of backdrops for any event! 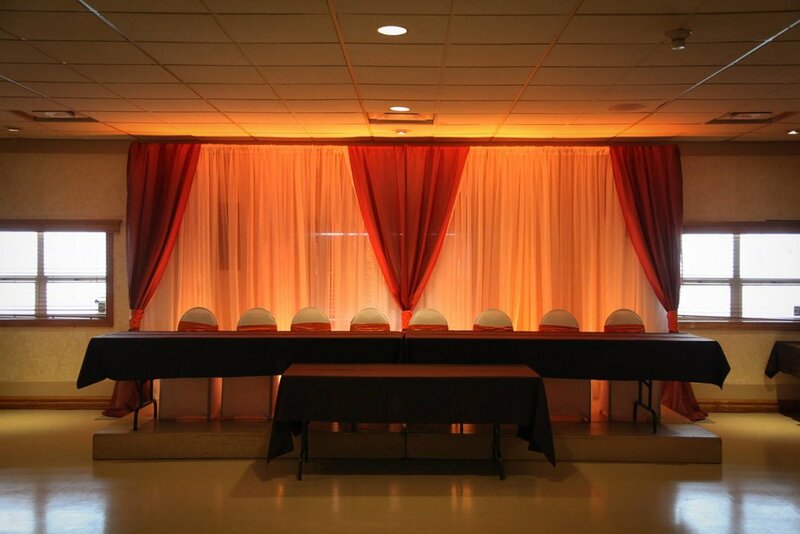 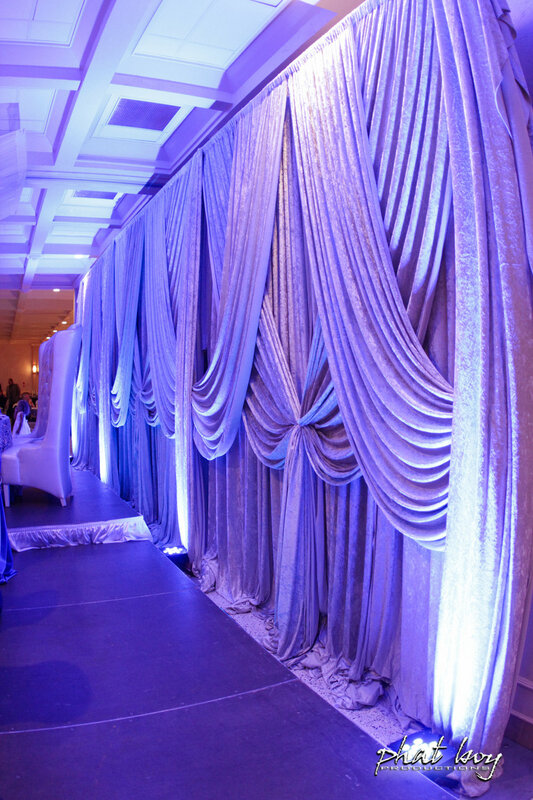 With a large selection of colours and materials we can provide a unique backdrop to match any theme. 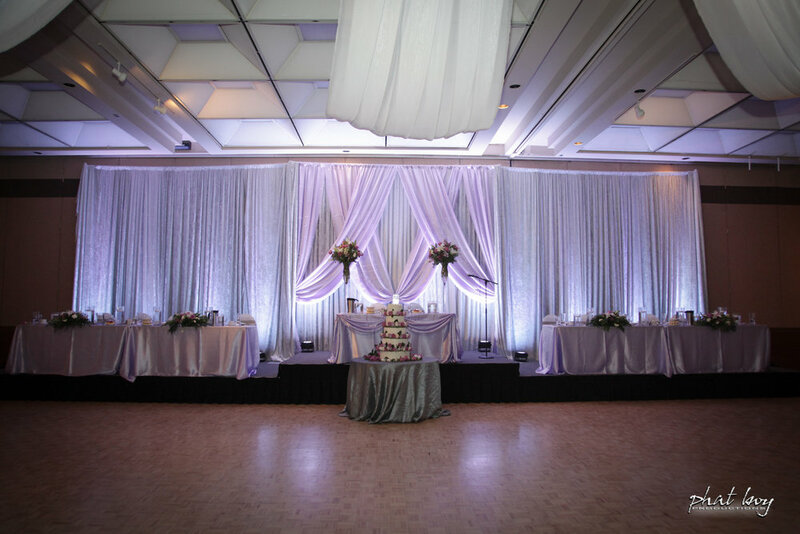 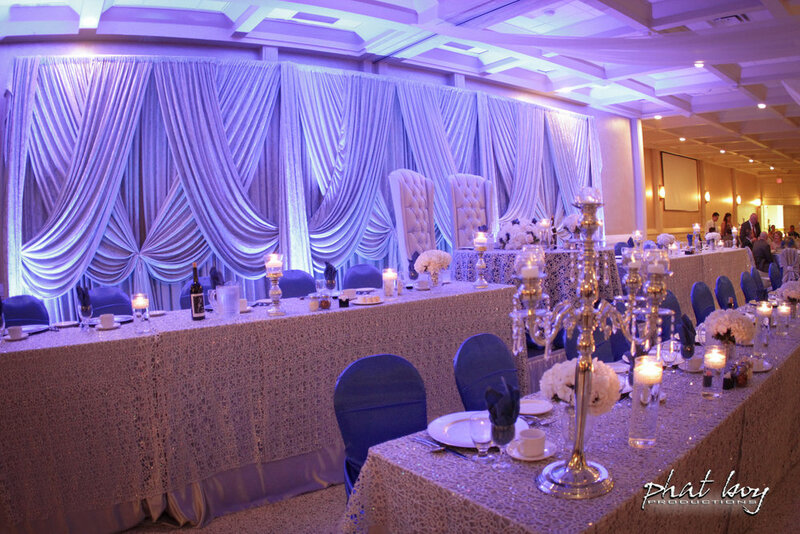 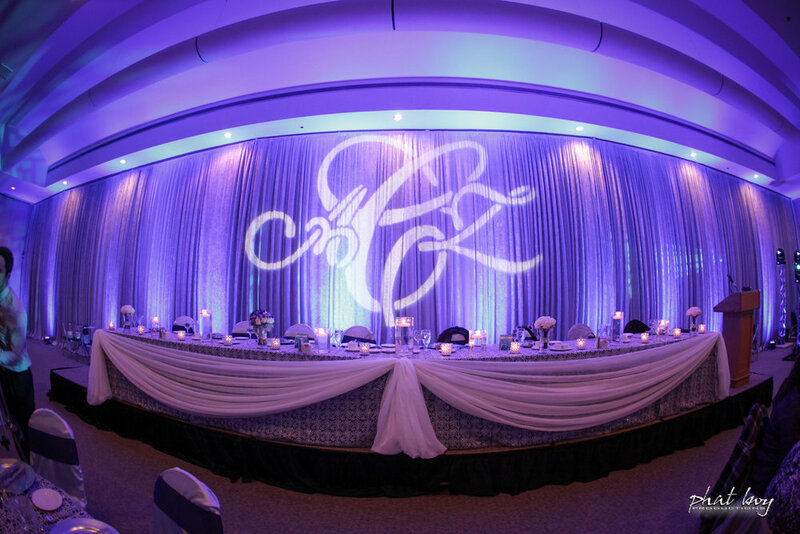 Our custom backdrop designs are perfect for behind a head table, along a dividing or feature wall, and for ceremony backdrops.